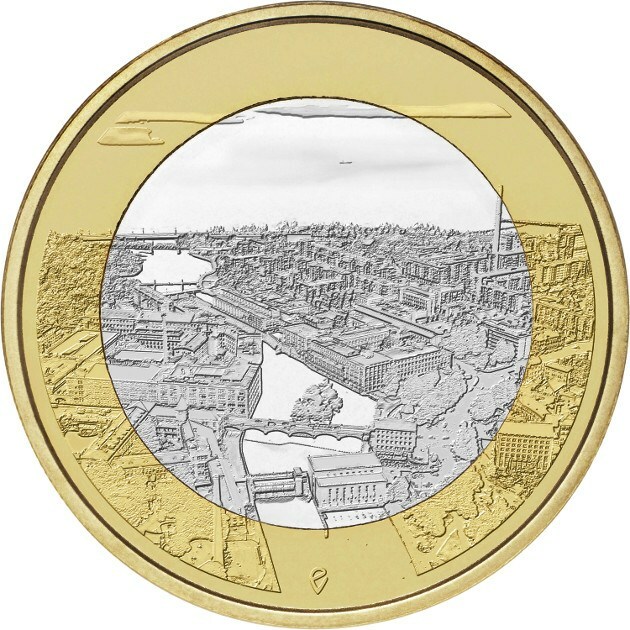 The Suomen Rahapaja, Finland's Mint, announces the issuance of the sixth coin of the series "National Landscapes of Finland" dedicated to the "Tammerkoski Rapids". The series is composed of nine bimetallic pieces with facials of 5 euros that correspond to the favorite landscapes chosen by their citizens in a vote held during the summer of 2017. 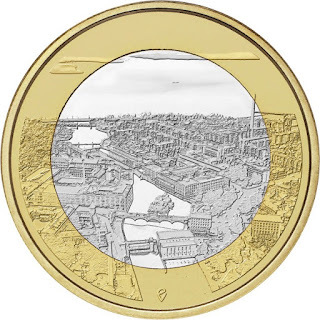 The obverse of the coin represents a view of the Tammerkoski rapids passing through the city of Tampere. The city is located in a picturesque place, on a narrow isthmus between two lakes. The rapids of Tammerkoski and its banks form the backdrop of industrial buildings and the reefs formed thousands of years ago by the ancient seas and the detached ice offer fantastic views over the two lakes. An original architecture and an innovative urban development come together to please observers and users of the built environment. 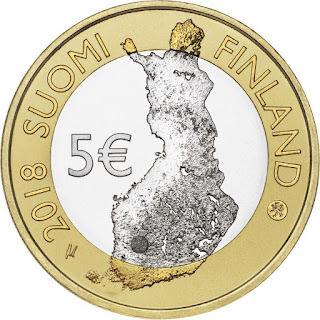 The design of the coin is based on a photograph taken by Hannu Vallas and captured on the coin by Erkki Vainio. The reverse designed by Mari Metso shows an image of the map of Finland where the location of the Tammerkoski rapids is shown with a small circle.